Long, deeply lobed leaves offer an exquisite buttery, peppery flavor with a roasted nut aftertaste. Excellent addition to salads and soups. Also wonderful with goat cheese and as cooked greens. Cool season crop; plant when you would lettuce. Harvest before flowering, when leaves are young and tender. Matures in 30-50 days. Large leaves with delicious fragrance and flavor, perfect for pesto. Great in sauces, salads and meat dishes. White flowers are attractive in the herb garden, but are usually pinched off as buds form to promote high-quality leaves for cooking. Large leaves with spicy clove fragrance and flavor, perfect for pesto. Great in sauces, salads and meat dishes. White flowers are attractive in the herb garden, but are usually pinched off as buds form to promote high-quality leaves for cooking. Aromatic leaves have a strong, sweet lemon flavor. Excellent in herbal vinegar, tea, potpourri and cooked with fish. Flowers are usually pinched off as buds form to promote high-quality leaves for cooking. Stunning foliage and attractive flowers are pretty in the herb or flower garden. Aromatic leaves have a limey tang and can be used in desserts as well as sauces, salads and meat dishes. Flowers are attractive, but must be pinched back as buds form to promote high-quality leaves for cooking. Stunning flowers and foliage for the herb or flower garden. Wonderfully aromatic leaves add a spicy flavor to sauces, salads and meat dishes. It also gives a lovely pink tint to white wine vinegar. Ideal for potpourri and dried arrangements. 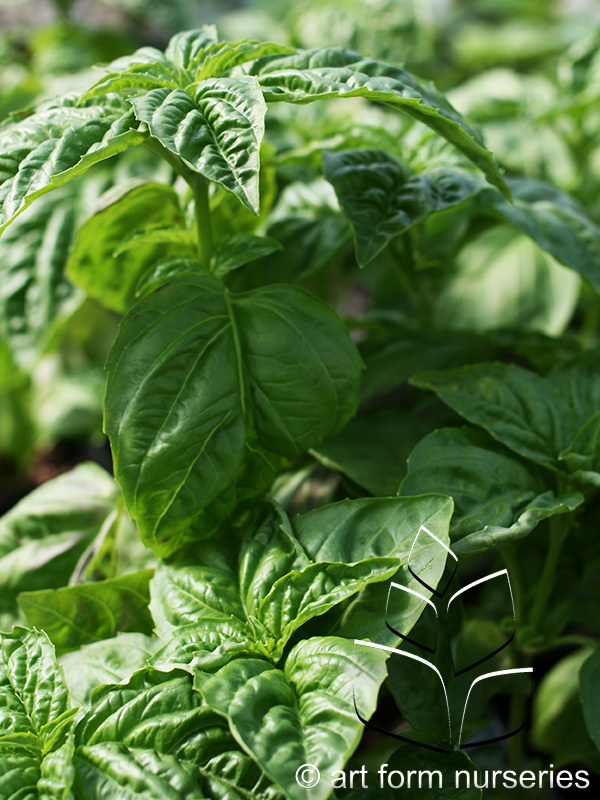 Striking variegated leaves have a robust basil flavor and are outstanding for tomato sauce, pesto, salad, and meat dishes. This tender perennial maintains a compact columnar shape, making it ideal to overwinter indoors near a sunny window. 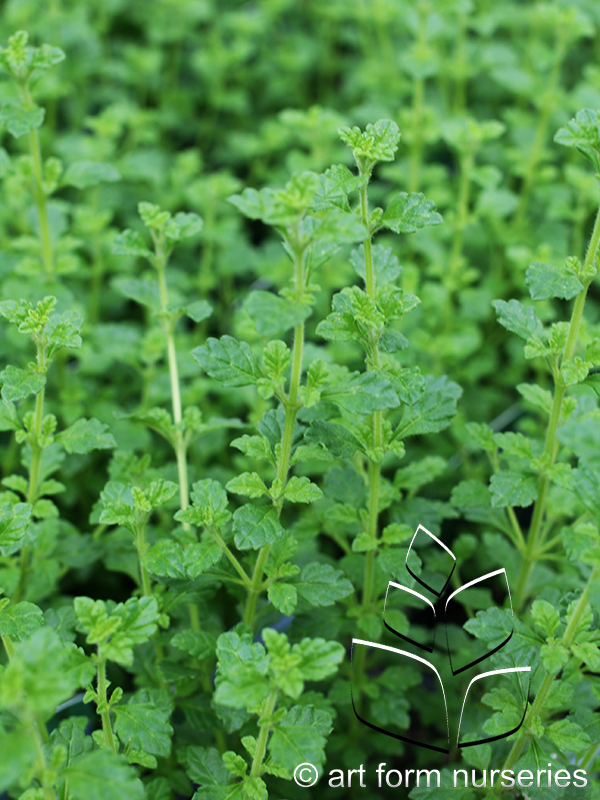 Large, aromatic leaves have an intense licorice-basil flavor excellent for Thai and Vietnamese cooking, as well as Italian dishes. Later flowering for higher yields without pinching flower buds. 1997 AAS winner. Tiny, very aromatic leaves form dense globes, making this plant attractive in the herb or flower garden and excellent in containers. White flower bloom late; plants stay compact in hot weather. Striking flowers on bold plants. Blossoms make edible decorations for salads and desserts. Young leaves have a cucumber flavor and may be enjoyed fresh in salads or cooked like spinach. Attractive in the herb or wildflower garden. Will reseed. Aromatic, flavorful leaves (cilantro) and seeds (coriander). Lemon-sage flavored seeds are excellent in stews, bean dishes and pastries. Pungent, sharp-flavored leaves enhance poultry and meats in spicy recipes. Can also be used in salads and soups. Reseeds. Fragrant ferny foliage and flowers attract butterflies to the garden. Leaves and seeds provide a distinctive flavor and aroma to a wide range of culinary favorites, including pickles, breads, potatoes, fish, dips and spreads. Aromatic, feathery foliage is an attractive filler in the herb or flower garden. Leaves and seeds have a pleasant anise flavor. Use fresh leaves in salads, soups, vegetables and herb vinegar. Ripe seeds add zest to Italian sauces, baked goods and sausage. Aromatic, feathery bronze foliage is an attractive filler in the herb or flower garden. Leaves and seeds have a pleasant anise flavor. Use fresh leaves in salads, soups and herb vinegar. Ripe seeds add zest to Italian sauces and sausage. Yellow flowers. Attract butterflies and hummingbirds with these robust blooms. Nasturtiums are easy to grow and they discourage insects. Lovely trailing over a container's edge mixed with zinnia, coleus and spikes. Add leaves and flowers to salads or use for garnish. Bright colored, spice-scented two and a half inch flowers contrast nicely with the variegated foliage. Nasturtiums naturally discourage insects. The flowers and leaves are edible and are delicious in salads or used for a garnish. Attracts butterflies and hummingbirds all season. Easy to grow. 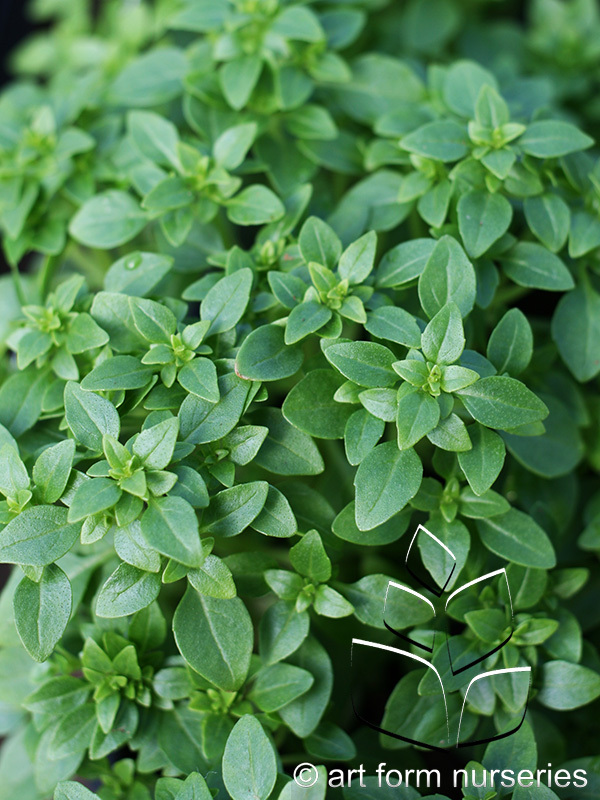 Aromatic leaves are more pungent than common oregano, ideal for adding zest to Caribbean cuisine. Attractive in herb gardens, mixed perennial gardens or containers. Use fresh or dried leaves. Stunning flowers attract hummingbirds to the garden. Aromatic leaves have a fruity pineapple flavor, delicious in tea, iced beverages, jelly, fruit cups and minced in cream cheese. A beautiful garden plant; tender perennial usually grown as an annual. Aromatic foliage has a pleasant lemon-pepper flavor that enhances bean dishes, meat, fish, vegetables, herb vinegars and salad dressing. Leaves may be used fresh or dried. Good as a salt or pepper substitute. White to pale pink flowers.